We’re excited to present the two new social enterprise projects that were granted funding from our September WYLD programme in Goma! 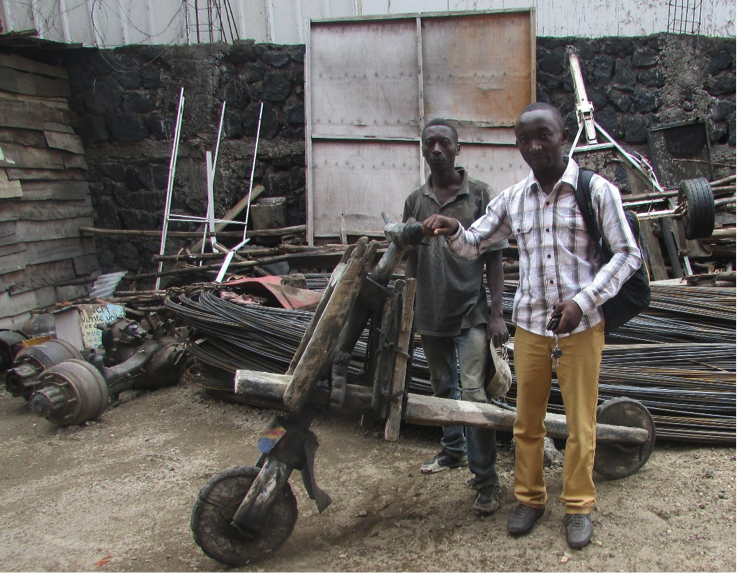 Project ‘Chukudu’ aims to support vulnerable families in the city of Goma by providing fathers with a chukudu; a wooden bicycle or skate, which is used to transport and distribute goods to various customers. In fact, you can only find Chukudus in North Kivu, DRC, and they are the most common way to deliver heavy items around the area. The group saw that the situation of many families in Goma is very precarious: lack of regular or sufficient income leads to difficulty in paying rent, little or no schooling for children and a lack of food, clothing and medical supplies. This group wanted to support fathers who could in turn support their families by being able to provide for these real needs. ‘Lazima Tubadilike’ is a Swahili phrase that means ‘it is necessary for things to change’. This project aims to help support vulnerable mothers by providing them with small loans. The mothers can use these loans to help them become autonomous in their small businesses of selling bread on the streets in Goma. 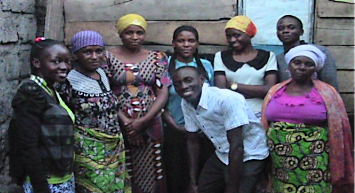 The project started by choosing five mothers, all of whom are widows with dependant children that they must provide for. Each one was given $20. At the end of every following week they must pay back 4500 Congolese Francs (about $3.5) to the team. After doing this for two months, they will have repaid the $20 of the loan and will have their own bread business that they will receive all the profits from. Prior to this project the women would have had a boss who gave them money to start selling bread, but would demand a very high percentage of their earnings at the end of the week. The small loans from this project allow them to work for themselves and keep a larger percentage until they have paid the loan back, and after two months, they will keep all profits for themselves and their family. Increased income will allow these mothers to feed their children better meals, pay regularly for school fees so that their children can complete their studies, and allow them the opportunity to develop their businesses and create a better life for their family. The money that the first mothers repay to the group will then be used in the same manner to provide microloans for more vulnerable mothers. By the end of the year it is hoped 30 mothers will have benefitted from this scheme!